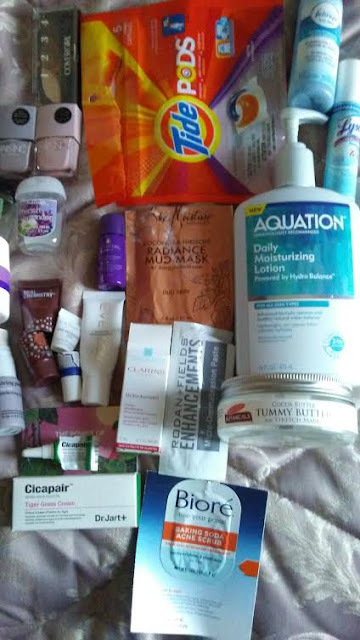 Its my latest April Empties Review which I had to take pictures and dump products FAST after discovering an ANT problem in my bedroom (lost my cough drop but the ANTS found it!). Besides that problem, I have several pictures of items that I used up especially skincare, haircare, and lifestyle items!! 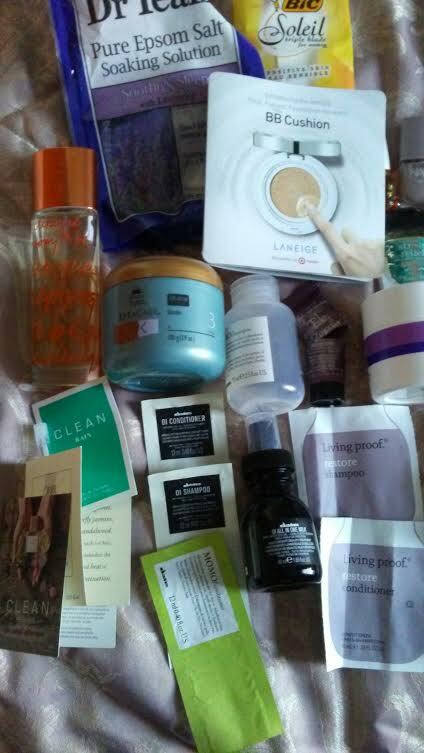 Thanks to Birchbox subscription monthly boxes, I have a lot of Living Proof and Davines hair care products esp w/ shampoo, conditioner, and style aid! I enjoyed using up several perfume samples including CLEAN Rain, CLEAN RESERVE perfume, and Oribe perfume for hair & body! I tried a lot of skincare brands like Dr.Jart, Clarins, Micheal Todd, Dermae, and Rodan and Fields for my dry skin and breakouts! And I enjoyed using lifestyle products like Tide, Febreze, BIC, and Dr.Teal !! Stay tune for my May review for my empties! OMG, Ursula, you finished up that huge full size Aquation bottle. I am soooooo impressed. You've gone through a lot of stuff. I have to take photos of mine and get it on my blog. You used up lots of great items Ursula! I used to have that Kera Care stuff I like their products.